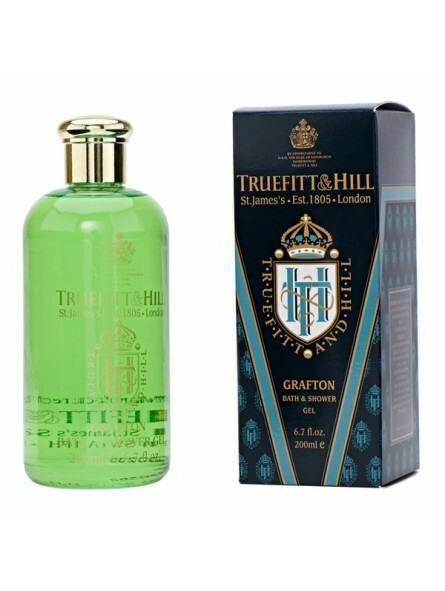 Truefitt & Hill Grafton Bath / Shower Gel 200ml. Bath and shower gel that will leave your skin smelling deliciously spicy and feeling refreshed and clean. 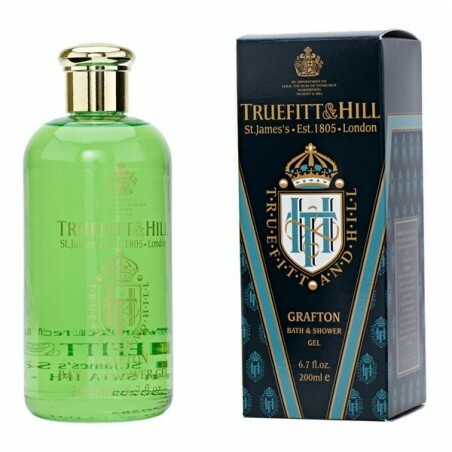 Grafton scent; a spicy floral heart, leading onto a rich, woody, amber background with a hint of leather. A crisp and spicy masculine fragrance. Gel de ducha agradable, su aroma es vegetal e intenso, claramente tiene calidad inglesa en cuanto a cosmética masculina, para mi la mejor. textura algo mas espesa que un gel normal, por contra la fragancia no es persistente y rápidamente desaparece.